A simple and easy-to-use textures viewer and formats converter. WARNING: This is an ALPHA version of rTexViewer, some features may be missing, incomplete or buggy. Use at your own risk. rTexViewer comes in two flavours: ZERO (free version) and ONE (low-cost version). Open the tool, drag & drop your image and view/edit it. When an image is drag & dropped, program check directory for supported image file formats for further navigation with LEFT/RIGHT keys or botton bar navigation buttons. Formatted image can be exported as PNG. 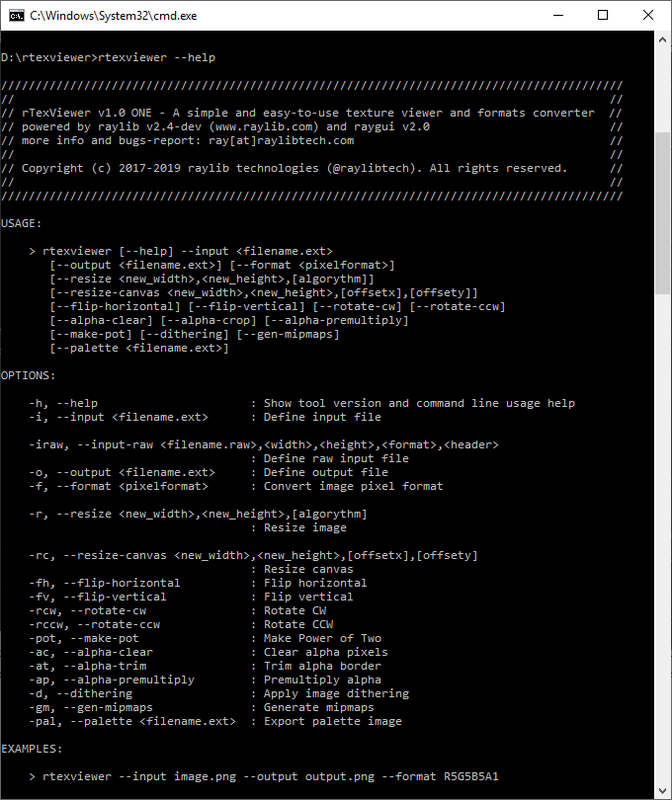 rTexViewer ONE also allows RAW (.raw) and CODE (.h) image data export. rTexViewer ONE comes with a powerful command line for batch processing, enabling transformation of multiple images with a very simple and comprehensive command line. Up to 256 chainned transformations are possible per image. 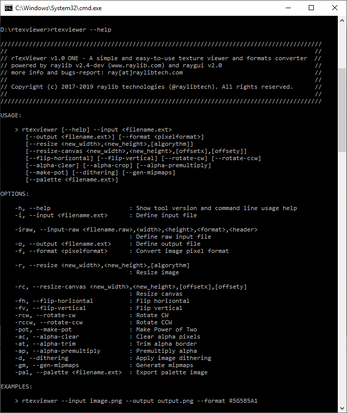 rTexViewer is closed source software but it's based on open-source technologies: raylib and raygui. rTexViewer ZERO is free and rTexViewer ONE is low-cost, with the addition of some useful features. In any case, consider it as a small donation to help the author keep working on software for games development.